I really didn't know what to expect with this one but am very pleased and it is nice to have a colt for a change from Gala. This is just a quick snapshot taken at about ten hours old but more pictures will be added as he grows as i have decided this year to give each foal its own page........and look we finally have a black tailed foal! (Must go to have a nap I was up most the night gawping at him). Colts generally stay until big enough to back but he is available for sale at weaning should anyone fancy him. First time in the field 35 hours old. Here he is (above and below) day three, I must say he is a very friendly soul and very chunky even at this stage. 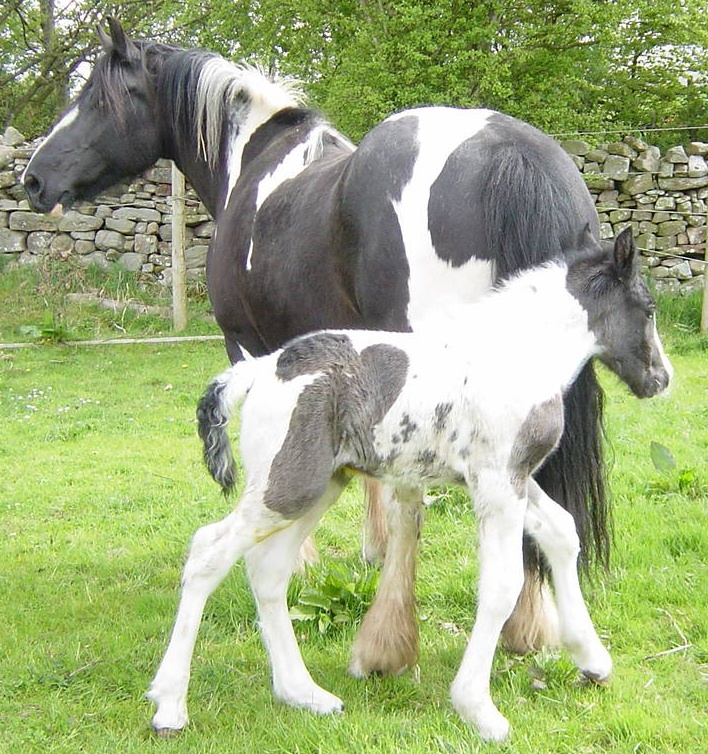 Wow this foal is growing tall, he is so quiet and biddible, put a halter on him the other day and he led round the yard and away from mum without any bother. He stood and let me trim each foot without batting an eyelid and standing unheld. he is going to be some horse but very trainable i would say. Pageant is looking a bit lean at present as he has recently shot up and looks like a boy in his first set of clogs. He is going to be big, strong and sensible. As yet he is still entire but if staying here will need to be gelded. he is available for sale though I am happy to rear him and get him going as he will only increase in value. Oh I really like this guy. He was gelded in November, actually I almost forgot as he was so quiet and no bother but I wanted him in a group and didn't need unwanted foals. 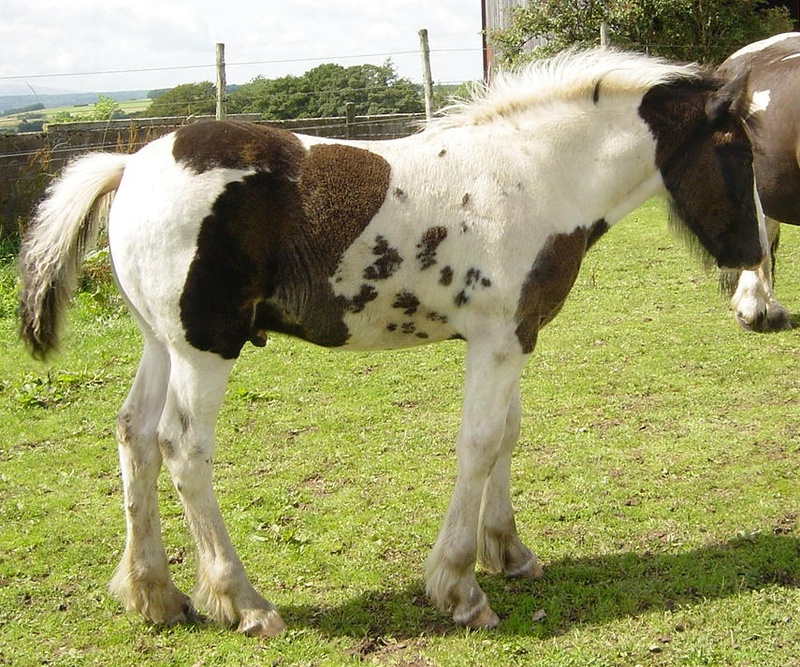 Lovely biddable temperament, you can do anything with him. Probably will keep this one you know.